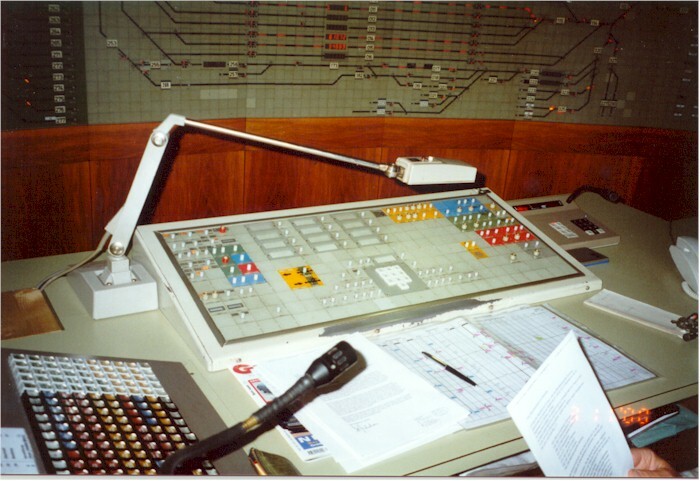 These pictures are from Schweinfurt signal box. 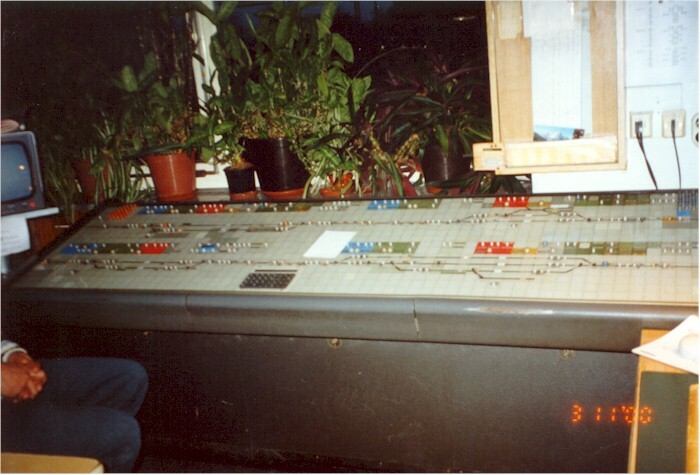 This signal box is a SpDrL60, it is operational since 1976, when it replaced four signal boxed that had been in operation partly since 1896. The pictures are by courtesy of Michael Urlaub. 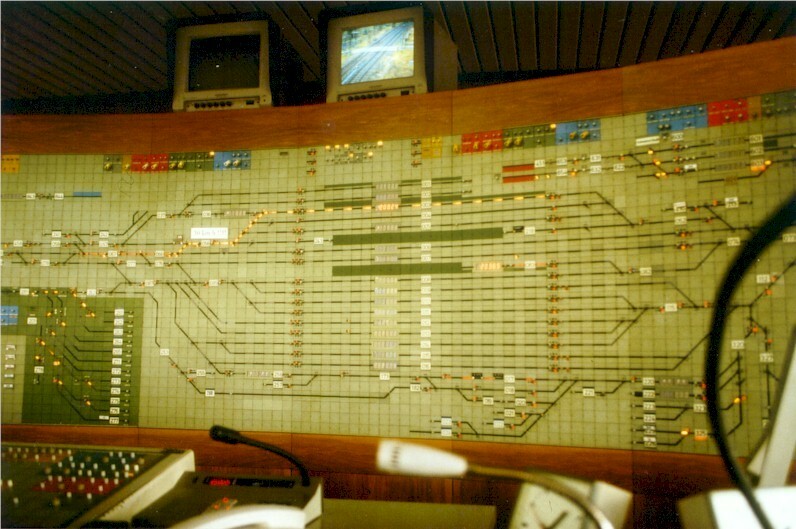 The main control panel of the Schweinfurt signal box. The upper track is for bidirectional operation, the arrow (between the LED display and the target 456) indicates the currently authorised direction. The yellow lighting indicates set routes. The yellow background (target 004) is a level crossing. A diverging route is set up from target 083 to the left. The track between target 083 to the signal is already occupied (hence the red lighting). The signal (magnified) shows Hp 0+Sh 1, hence this is a shunting movement. A small signal box near Schweinfurt.